Are you looking for a new home and need some help? That’s quite predictable and, more than that, unavoidable. Looking for anything to buy these days is extremely hard. The number of choices and possible scenarios that these choices provoke is overwhelming! Thank god there are special tools that allow us to make decisions quicker and more efficiently. The apps below will help you to take lots of various factors, such as price, the number of rooms, neighborhood, etc. into consideration. They will reduce the risks of unwanted consequences and help you make a reasonable well-thought decision. Let’s dive right into the reviews! This app is a savior for movers and shakers. Oh yes, people who have chosen to buy a new place for a living or just to move deserve this title. It is a great decision that will take you lots of patience but eventually will be worth it. Especially if use Trulia. Trulia can help you to get a feeling of what it is like to live in this or that house. The app gives detailed information about the property itself and what is around it. As for the former, there are such criteria as price, the number of rooms, the year when it was built in, and so on. The latter pieces of information concern everything a good map app usually has – shops and restaurants that are nearby, grocery stores and pharmacies, schools and hospitals. However, it is not only that. There are also comments from people who actually live in the area and know all about it – all the pros and cons, cool and frightening stories. By the way, thanks to the fact that Trulia has special agreements with other services, it can also show crime rates and the time it takes to commute to one place or another. If you want to, you can use an additional app to check this info out. There are many map apps out there that are created exactly for that purpose. The article 15 Best GPS Apps for iPhone & iPad overviews the best of them. As for the other features this app can offer, it is worth mentioning the two of them – the most useful ones from our perspective. The first one is an affordability calculator – it lets you add mortgage, insurance, taxes to see if the ultimate price suits your budget. The second feature is the wonderful button that lets you call a property manager instantly without filling the forms and stuff – if you’ve found a house of your dreams, just make an easy call! All in all, the app is truly helpful when it comes to buying a house. The design of the app is just wonderful – all the necessary information is presented in a clear way without any distractions. If you are looking for a house, you should definitely download Trulia! Zillow deserves one of the first positions on our list not only it is one of the best house & apartment hunting app, but also because the company that created this app was a pioneer in estimating real estate. It has managed to estimate over 100 million houses, condos, and apartments and over time became a giant in this sector. So, no wonder, the app created by Zillow is worth our attention. By the way, the estimations are constantly changing because of various factors which means that you can pin some house and wait for the moment it becomes cheaper and therefore more affordable. You can also check how much your house or apartment is if you have one. Then, if you want to sell it someday, you can choose the most advantageous time for it. The app has everything a one needs to find a dream house. You can view pictures to learn what is out there or you can choose a certain area of where you’d like to live. The app will then reveal all the available options to you. One more way of how you can narrow down your search options is to take a look at what houses or apartments are available in the area where you find yourself. For example, if you find some district really attractive, you can open the app and see if there are properties for sale there. Once you’ve done your primary search, you can look further and pay your attention to such details as schools, restaurants, coffee shops, grocery stores and other kinds of amenities. Zillow offers fewer peculiarities of a place than Trulia, but there are enough of them to make a decision of whether you want this or that place or not. After all, nobody forbids you to use both apps! Apart from the features described above, there is also a mortgage calculator. Upon the whole, Zillow app is a nice tool to help you deal with the overwhelming number of choices. It has a clear beautiful interface and functions really well. If you like the descriptions, get the app by simply tapping on one of the buttons below! Homesnap is an amazing app, a true finding for those seeking a new home. The app allows you to browse all of the available information (schools rating, interior details, rooms) about this or that house that is in front of you. All you need to do is to snap a picture. This is a very convenient way to look for property for those who like to see things with their own eyes. When you are just browsing the web, it is one thing, but when you are actually engaging with the environment – these are completely different feelings. So, our advice is to choose this or that area with one of the apps listed above (or below) and then go for a walk with Homesnap to view the details! Once you’ve found something that is, in your opinion, worth further contemplation, you can save it on the map of the app. This is an especially handy feature since it ensures you’ll be able to conjure up all the memories created during the walk very quickly. Of course, if you need to, you can search for houses without taking photos, but the fact that there is such an unusual function makes this app stand out from the rest. The other thing you can do after you’ve found the one is to send a message to your partner or a friend or just someone who is also interested in this important purchase to share the news. Upon the whole, Homesnap is a nice app to have in your phone. It is interesting and exciting to try it out. Don’t resist the temptation! Redfin is actually a brokerage company that has its own app. The app is really efficient, frequently updated and smoothly working. It offers you the most required features such as search by area – you can draw one on the map or use your location as a starting point. After this search, there is obviously filtering. You can set the price you’re interested in, some other details to see whether what you want is available in the given area. Once you’ve marked the most interesting offers, you can order a tour in order to view houses or apartments with your own eyes. After all, it is a lot more fruitful than just going for a walk and looking at the surroundings. The developers of the app claim that because of the fact that the company has some local connections, Redfin can offer a wider choice of property comparing to the other well-known apps. We don’t think that the difference is essential but since there is a possibility that it is, you can use this app to find some additional offers in the area where you want to live. Last but definitely not least feature is cutting unnecessary spendings. While offering some services such as apartment tours, the app also helps to save up some money before diving into the deal-making. To sum up, you need this app. If you want to find a good deal, you need this app. Apartments.com is actually not a house hunting app and it is not even an apartment hunting app. It is a rental app. Why is it on our list? Well, we thought that perhaps after you’ve looked at the prices for property these days, you’ve changed your mind and all. Just joking. 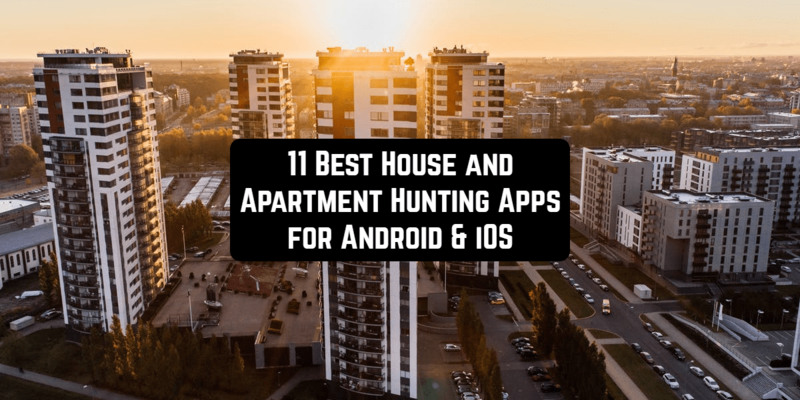 At least one rental app on this list is essential because there are lots of different situations and sometimes we don’t have a possibility to buy a house or an apartment right away. Temporary renting is an excellent solution in this kind of situations. Especially if you have an urge to move somewhere. Apartments.com is a service that has been there for years. Its main advantage is that it provides users with the up-to-date information, so you won’t have to call 10 owners in order to find at least one that is actually offering his or her place for rent. The search in this one includes all the necessary parameters so that you could find a place you’d really love to live in. To name just a few – rent ranges, commute time, neighborhood. As for neighborhoods, there is info about hot spots, exteriors and interiors of the houses and a lot more. This app is definitely recommended for those who want to rent a house or an apartment or maybe some other kind of property. If you are one of such people, get this app and see what you can get with it! Most apps on our list work best or work only in North America. This one is not an exception. More than that, HotPads narrows down the area of functioning to the United States and it functions especially well in the largest cities of the country, such as San Francisco, Los Angeles, New York, Boston, etc. This app is another one rental app. It will help you to rent a place that you really like at a suitable price. The search engine is quite powerful – there are many factors you can use to filter various offers and find the one. The most important ones are probably neighborhoods and price. Once, you’ve fine-tuned or chosen all the necessary factors, you can turn on the alerts in order to be able to view the freshest offers the moment they’ve been posted. One more useful feature is sharing. If you’ve found an apartment you really like, you can share it with your nearest and dearest just to help someone out or to boast with the finding. All in all, if you are looking for a rent in a large metropolitan area of the US, this is a good app to get started with! Bigger Pockets is an app that is quite different from the other apps on our list and yet it is still created for those seeking a new apartment or a new house. In a nutshell, this is a networking and information app. You can ask here someone how to deal with documents, how much money you’ll need – that kind of stuff. Sometimes we can neglect some of the most important small details when we’re into something big. Bigger Pockets will help to avoid it. Besides, the app keeps you updated on all the tools, resources and other data connected with real estate. So you can use it as an additional source of information if you don’t have enough sources already. In any case, having all the necessary information at your hand is great and extremely convenient. It is important to be literate in the real estate business if you are going to deal with it. If you don’t know much of it though, apps like BiggerPockets are in app stores for you. Get one of them now and start educating yourself right now! 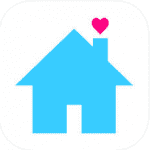 LoopNet is one more app designed for house or apartment hunters. Just like any other app in this category, this one has got an advanced search with lots of various filters. There are photos, street views, prices, and some other factors. Of course, this one is not as advanced as Trulia or Zillow, but it can show you all the essentials and, more than that, send you alerts when some new offer meets your requirements. All in all, this is just another app for finding real estate deals. It works only in the US and Canada. If you don’t really need the information about crime rates or school districts and can pretty much make a choice without additional factors, download LoopNet! Realtor.com is the app which is obviously based on the content of the website that has the same name. So, you can kind of view the website first and then decide whether their content suits you or not. This is an award-winning app in real estate sector which tells a lot about the quality of the app. There are lots of properties for sale nationwide. And, if you are not from the US, then it means that this is not your best option. If you are, though, then you’ll certainly find lots of interesting offers. Like any other good house hunting app, this one allows you to filter the search, to push on notifications, to see prices and all of that stuff. More than that, it has some additional details, such as schools, crime rates and other advanced factors you will probably need to think about anyway – at some point. The most amazing feature is 3D tours. The app lets you truly see the surroundings and sometimes even the interiors of houses without going outside. How cool is that? I think it is really cool – especially for a busy person! In sum, if you’re looking for property in the US and know you’re going to enjoy 3D tours, then don’t even think about it – download the app and start looking for the home of your dreams! Xome is a convenient service that will help you to make the deal – it will be with you from the very start till the end. The app will not only give you lots of different choices and search options, but it will also guide you through such steps as concluding a contract, payment, and other official steps. One more application of this app (no matter how strange it sounds) is selling a house. If you are not among house hunters, but, on the contrary, would like to sell your property, you can use this app as well. It is especially convenient for those who already have a house or an apartment, but would rather change it for something else – something bigger or something closer to the rest of the family. God knows who does it, but probably you are among those crazy people! To wrap up, this is just one more house hunting app, but it has certain peculiarities that make it special and worthy of your attention. The greatest one is giving information about how to make the deal so that there were no troubles in the future. If you are a newbie, this is the one for you! Finally, the last app for all the house and apartment hunters out there is Zumper. This app is not that remarkable – all those same listings, map searches, alerts the moment something great get published. This app has it all! It is not as popular as Zillow, but it doesn’t make it worse. All the small details about the neighborhood of this or that house are presented as well. There are filters and all of that. So, it is just a matter of taste. If Zillow or Trulia or any other well-known app doesn’t float your boats, then you can try this one! The developers claim that the app’s alerts are the fastest. Who knows? Probably this tool will help you to avoid problems with exhausting searching. Get the app and see if it is so! We’ve reviewed the best apps for those who seek a new home. If there’s something else we’ve missed, please, let us know. We wish you good luck, quiet and friendly neighbors, and nice surroundings. As always, be smart in choosing apps!